Comments: Hours applicable to Spring 2019. Extending beyond the confines of art history, Dr. Filippone’s research examines feminist aesthetic approaches to science and technology during the Cold War. For artists working in this period, military, domestic and communication technologies represented a conceptual realm of investigation replete with negative associations in the wake of the Vietnam War, but new discoveries in these fields simultaneously suggested alternative social and environmental relationships in the context of the American women’s movement. Other research interests include; Latin American conceptual art, the intersections of art and systems theory, posthumanism, eco-art, and queer studies. Christine Filippone is Associate Professor of Art History in the Department of Art and Design at Millersville University, specializing in contemporary and 20th century art. 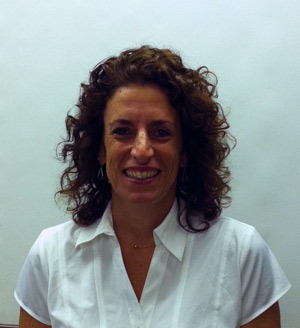 She is also Coordinator of The Women’s and Gender Studies program. Recipient of the 2017 SECAC Award for Excellence in Scholarly Research and Publication, her book Science, Technology, and Utopias: Women Artists and Cold War America (Routledge Press, 2017) examines feminist aesthetic approaches to science and technology. Her research has been supported by a Mellon postdoctoral fellowship, an American Fellowship from the American Association of University Women (AAUW), and a Guggenheim Fellowship from the National Air and Space Museum, Smithsonian Institution. Dr. Filippone also has significant experience in museums and galleries. She served as Executive Director of The Print Center in Philadelphia (founded in 1915 as The Print Club), an art gallery and store dedicated to contemporary printmaking and photography. The Print Center holds the longest running juried competition in printmaking and photography in the country. She has also worked in curatorial departments at the Philadelphia Museum of Art, Brooklyn Museum of Art, International Center of Photography in New York and the Nasher Museum of Art at Duke University. “For the Blood of Gaia: Betsy Damon’s Quest for Living Water”, Woman’s Art Journal 39, no. 1 (Spring 2018): 3-11. “Alice Aycock: Systems of Energy”, Sculpture 37, no. 2 (March 2018): 20-25. Science, Technology, and Utopias: Women Artists and Cold War America (New York: Routledge Press, October 2016). Series: Science and the Arts since 1750. “Patricia Johanson: Ecological Practice as Conceptual Art” Patricia Johanson’s Environmental Remedies: Connecting Soil to Water (Minneapolis, 2016): 74-89. Dr. Christine Filippone interviewed with Melinda Keefe on the topic of art conservation. We'll talk about Keefe's restoration of Mark Rothko's painting Black on Maroon (1958) vandalized with graffiti ink in 2012 at the Tate Modern, among other topics bridging art and science. 7/17 & 7/19.2015 - NPR's The Pulse with Maiken Scott on WHYY-FM Subject: Art Conservation Bridging Art & Science Interview on NPR's "The Pulse"